Guilt free and cake don't usually go together but in this instance they do! I eat healthy 95% of the time, and I allow myself to indulge however I enjoy having tasty options that don't make me feel terrible afterwards. I will say that this delightful treat is mainly granny smith apples but this is a beautiful cake that doesn't make you feel guilty and will be a great addition to your next event. The sweetness of the apples mixed with the lemon zest really carries this cake. And it may be missing butter but the tartness of the granny smiths keeps you content and wanting more. The hardest part will be stopping after one slice! 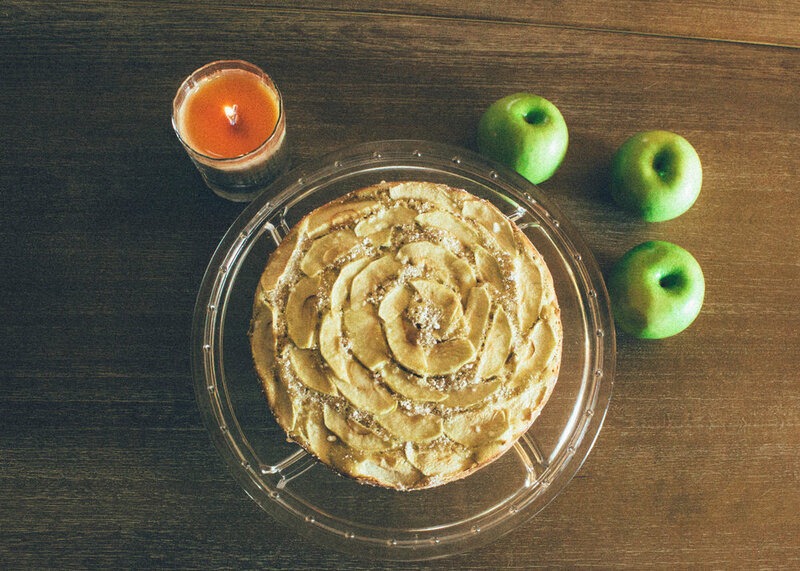 Hop on over to As Easy As Apple Pie for the recipe!